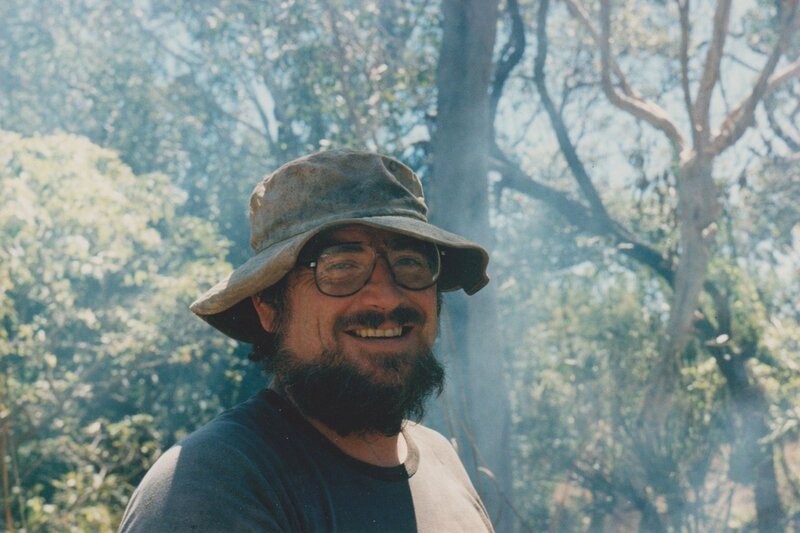 Those of you familiar with my blog will know that I am a science fiction writer who sometimes breaks the monotony by occasionally telling about my research or past experiences that have contributed to my writing skills or motivation – and last week I promised you some photos of my time in the wilderness, now sixteen years behind us. Don’t worry, I’m not going to swamp you (one tree looks much like another after a while), but there are some great images and great times that I will share with you over the coming days or weeks. For now, just the basics. 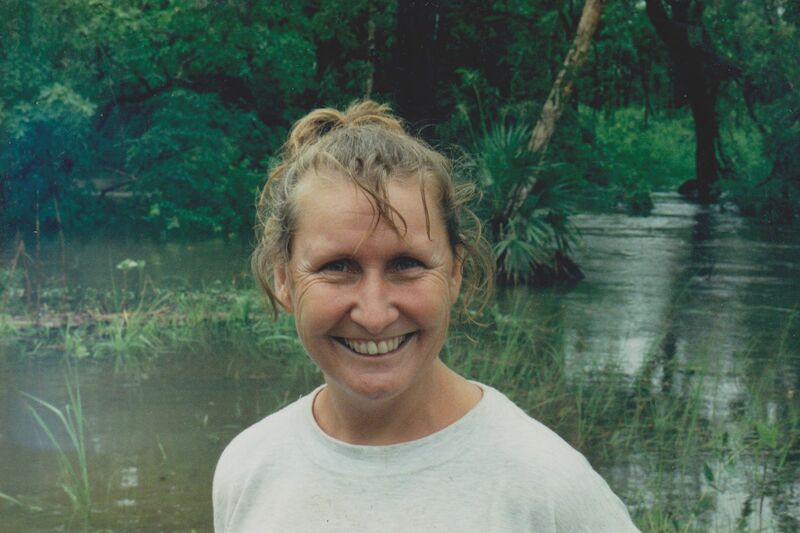 Above is me during the Wet season when our creeks were in full flood. You’ll have to add about sixteen years to my age here (oh dear). This is Greg. 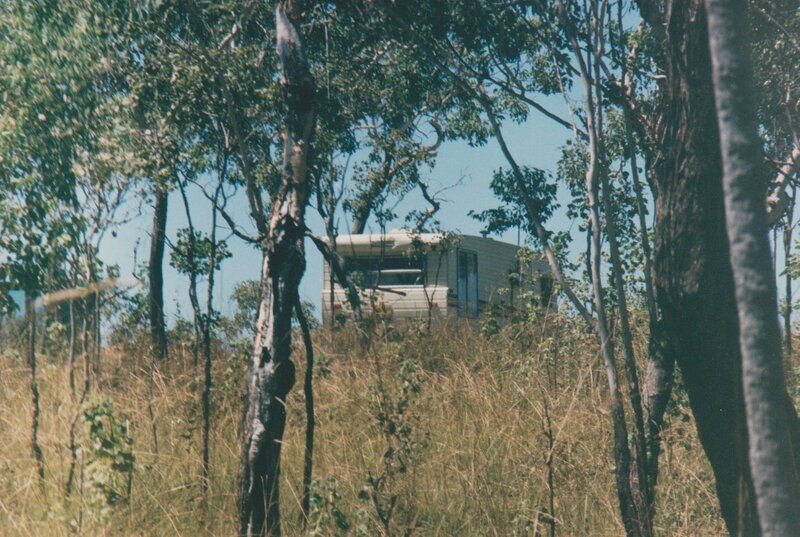 We spent nearly five years on our lovely 250 acre block in the Northern Territory, Australia. We started off in a tent. The caravan was my office. 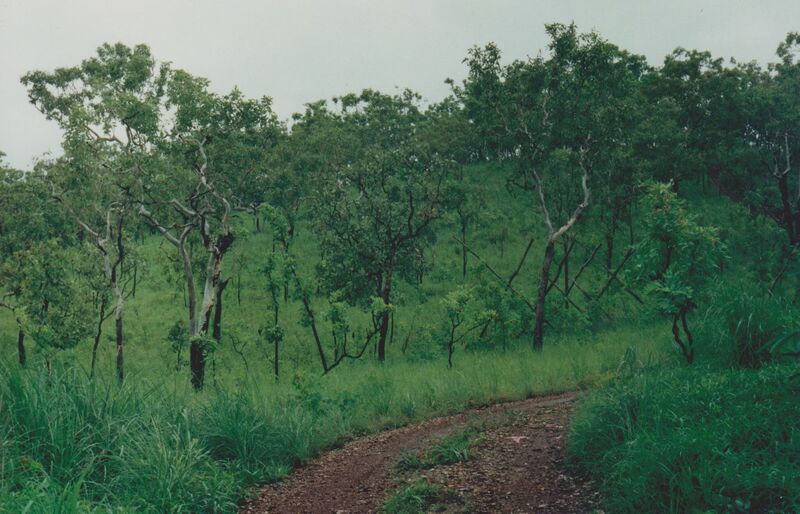 This was taken in the Dry season. And the land looked like this in the Wet. Occasionally we had some adventures, as the picture below shows. 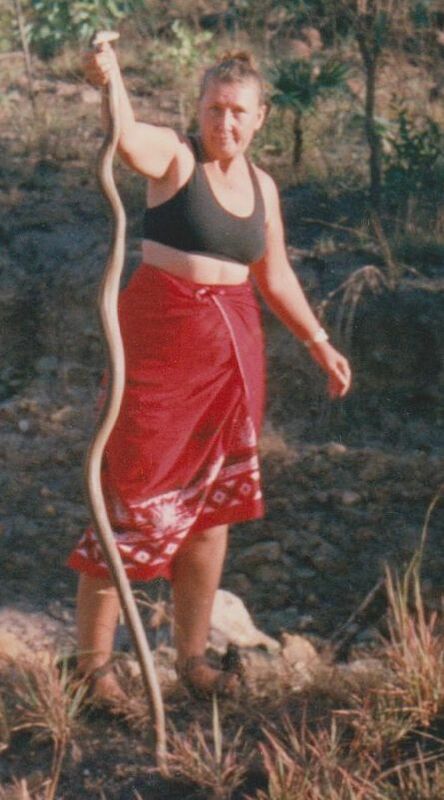 Yes, this is me, and yes, that snake is alive. For the record, I left him alive. I had taken him from our campsite and this was his release point. We parted company with neither of us coming to any harm. 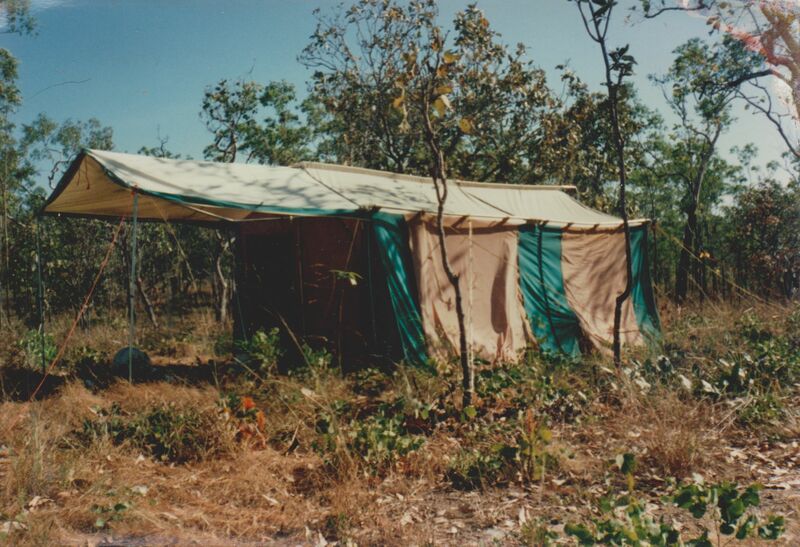 Tomorrow I will show you the tin-tent-over-a-hole-in-the-ground where we lived for some years. Coming, too, are some great close-up pics of snakes, and other assorted wildlife, plus other bits and pieces you might be interested in. Love, love, love the pictures. You both look so happy. I bet you had a fun time looking through all those memories. I’m looking forward to seeing the tin tent. But you can keep the snakes.